At first it was just a nuisance to have to change their weekend plans every time gout showed up, then it was the emotional stress of being around the grumpiness of someone constantly in SO much pain and agony, then it was the recurring midnight emergency medical interventions, and then it was the endless hours of research to figure out how to get RID of this nasty disease that was ruining both of their lives. And now that Bert’s gout is gone…gout is still a central part of Sharon’s life as she manages technical side of the website, write articles for The Gout Killer, co-authors the Gout Killer training products with Bert, and supports Bert as he supports all the aspiring Gout Killers. In her private practice, Sharon helps individuals resolve a wide variety of health challenges through dietary recommendations, with a focus on helping her clients restore digestive wellness. Operating within the scope of functional nutrition, Sharon is trained to assess nutritional imbalances, then recommend dietary and supplement choices to help restore optimal wellness. 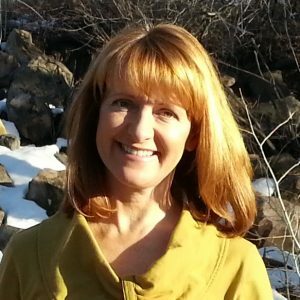 Sharon began practicing holistic nutrition in 2009, and culminated her 25-year nutrition education with her Nutritional Therapy Consultant certification in 2014, and Restorative Wellness Solutions certification in 2015. Sharon loves educating people about nutrition and holistic wellness, and is on the instructor team for the Nutritional Therapy Association and co-teaches the Nutritional Therapy Training NTC Program in Las Vegas, Nevada. Sharon currently holds professional memberships with the National Association of Nutrition Professionals, American Nutrition Association, the Weston A. Price Foundation, the Price-Pottenger Nutrition Foundation, and the Nutritional Therapy Association. Prior to pursuing her life passion of holistic nutrition, Sharon practiced architecture in Taos, NM for 17 years. As a licensed architect and Certified Permaculture Designer, Sharon feels her current nutritional therapy practice is a natural extension of her prior career as an architect – because true health is built upon solid nutritional foundations that are custom-designed. To help people connect more deeply with their nourishment, Sharon also teaches the joy and know-how of food gardening. For civic volunteerism, she teaches organic gardening classes and runs the community garden at Contour 39 in Lone Tree CO. Through these opportunities, Sharon inspires and educates people to start growing their personal nutrition – both in the garden and in their lifestyle/dietary choices. In 2 to 4 Hours! Is Wine OK for Gout?